It had been only three months since we purchased our first home when my husband met me in the kitchen with a look in his eyes I hadn’t seen before. He grabbed my hands, looked into my questioning eyes, and told me about an email he had received. The Navy was sending him to Afghanistan. He would leave in a month. I know my knees buckled and I clung to my husband, shocked. My next clear memory is of us sitting at our kitchen table, sighing big sighs, trying to pry our minds and hearts open wide enough to take in our new, monumental reality. Two weeks ago, on a Monday morning I barreled into our bedroom where my husband was busy working, asking where I could find our extra checks so I could pay the piano tuner. I was stopped in my tracks by the slow turning of his head from the computer screen. On his face I saw an eerily familiar look, tender, shocked, excited, one I remembered from that day in our kitchen years ago. The Navy was calling once again, asking him this time to teach, sending him this time to a place where we could all go. Our family will be packing up this summer and moving all the way across this great land of ours, from our home here in Southern California to the state of my birth, Maryland. Understandably it has been hard for me to write lately, hard to find a way through the whirl in my head and put words down. Inside the whirl are military acronyms like PCS and DITY and I have spent way too much time online trying to understand the layout of the city of Annapolis, which is hard for a girl who doesn’t carry a map in her head. Remember that quote from Prince Caspian, anyone? There are so many layers to this, so many things I am pondering, ways that this could go, reasons I think God may be moving us there, moving us now. I am sure we are not the only couple who stays up late at night talking out our dreams. Or whose conversations on date nights revolve often around the what-ifs of the future. I love dreaming with my husband. The possibility of Annapolis has been a part of those dreamy conversations and I am giddy to know that a door to a dream we have dreamt together is opening. We have told our kids, our families, and the word is trickling out to our community here. And you know what? Maybe I am seeing something that is not really there, but it feels like something has already shifted in our family, like we are turned toward one another in a subtle but powerful and different way. Perhaps it is because we know that soon it will be just the five of us. I have noticed more deliberate talking and sharing of feelings and thoughts. More laughter and inside jokes. More tears and tender conversations. Exactly how I feel, son. 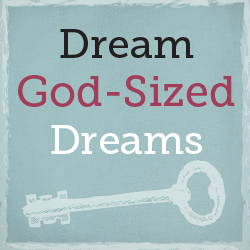 visit Holley's blog to read other posts by my God-sized Dream Team sisters! I have been heart-heavy this week, praying and thinking of the people of Boston, the tragedy they have endured. These words were written months ago after a trip my husband and son and I took to Boston in January. I share them now with gratitude and love for the experiences I have had in that glorious city. He is navigating the subway like a pro, this son of mine, checking the map and making sure we are heading the right direction. We are riding the “T” through Boston, clanking down the tracks side by side. The sights and sounds of riding the subway have my southern California suburban boy enraptured. We emerge onto the cold, bustling sidewalk at the Park Street station, and head through the Boston Commons. I am guiding us, making a beeline toward the statues of Mr. and Mrs. Mallard who I remember are on one of the Charles St. corners of the Public Garden. We find them all dressed up for the holidays, and a kind stranger snaps photos of us together, us with the ducks. And my heart fairly bursts with a kind of healing joy. Oh, Jesus, how do you do it? How do you line up these moments that go off like a flashbulb in our hearts? My heart beats out a steady rhythmic thank you, thank you, thank you. Every step we take through the Public Garden reminds me of the healing journey I have been on for the past six years. When I look at photos of the first trip my husband and I took to Boston in the Spring of 2007, I am always struck by my eyes. They look so sad. And I was. So very sad. Five months earlier we had buried our fourth child. We had planned the trip to Boston when I was pregnant, planned to bring our then unborn son, William, along. I had imagined pushing a stroller through the garden while my husband attended his academic conference. Instead I sat by myself near the Swan Boat pond, watching families push their own strollers, journaling down my grief. A lot of life happens in six years. Sitting on the bench where another stranger kindly offered to take our photo, I watched my son, Stephen, walk out near the Swan Boat pond, now covered in ice, and I felt Spring blooming sure right smack dab in the middle of an icy winter. This boy of mine is growing up. Sharing the time with him in Boston was partly like spending time with a friend and also definitely like spending time with my son, and I loved it. Stephen is appreciative and observant and funny. He is smart and inquisitive and willing. We walked a mile or so through the city in the cold evening air, and he mused about how alike we are. We laughed and sang and quietly enjoyed one another’s company. I know as I sat on that bench, six years ago, I didn’t sit there alone. Jesus walks with us through our valleys of grief. And I know that way back then, He saw ahead to the winter day when I would walk here with my delightful twelve-year old companion, and that inside my heart I would be holding a dream and hope of a child we would adopt into our family. And so He sat with me, holding me in His love and grace. And He walked with Stephen and me down that sidewalk in the wintry Public Garden. And we rejoiced. 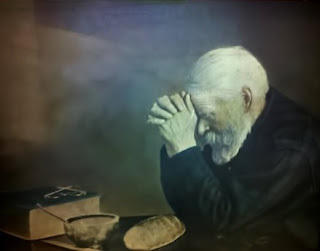 I am over at my friend Laurie Wallin's blog today telling about a time when God broke into the thick of a messy parenting moment and reminded me that He wants me to love like He does, unfairly. The first time I wrote at Laurie's place, I talked about how God loves us unfairly, and that is a good thing! So come on over and join in the conversation!